LINCOLNTON – The West 2A wrestling regional on Saturday at West Lincoln High was another three-team battle for bragging rights that will likely continue in this weekend’s state championship tournament in Greensboro. The host Rebels — who battled their way through Fred T. Foard and Newton-Conover en route to a state dual-team title – won a regional title with 200.5 points with Newton-Conover (171) edging Fred T. Foard (170.5) by a half-point for second place. West Lincoln and Newton-Conover will each send eight wrestlers to Greensboro, where the three-day state championships begin on Thursday, and Fred T. Foard has qualified seven. Wrestlers who finished in the top four at a regional earn tournament title bids. The Rebels came out of Saturday with two weight class champions, Nathan Hull at 162 pounds and Canon Bridges at 145. They also had three wrestlers – Langston Hoffman (113), Zander Pendergrass (138) and Brock Steele (285) – finish second. 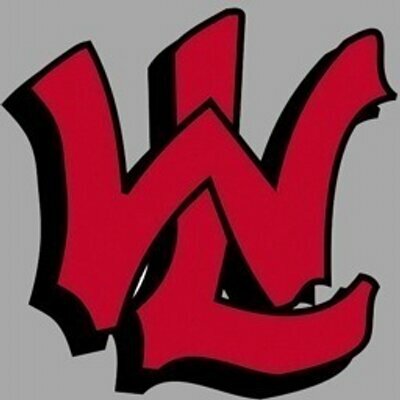 The other West Lincoln wrestlers winning a spot in Greensboro were Chance Norman (132) and Harley Scronce (220) with third-place finishes, and Luke Stewart was fourth at 126 pounds to advance. Newton-Conover’s Spenser Harris won a title at 126 pounds, as did teammate Joshua Nichols at 170. A second-place finish by Camden Spencer (106) got him to Greensboro, while Mitch Glover finished third at 113 pounds. The other Red Devils advancing are Cole Clark (182), James Gaither (195), Ryan Walker 9285) and Charlie Pettery (152). Fred T. Foard’s seven Greensboro-bound wrestlers include defending state champion Landon Floor (182) and A.J. Wingate (160), both of whom won regional crowns Saturday. The Tigers also have Jake Santolli (132), Hunter Lloyd (170), Braden Wharton (120), Josh Riggs (138) and Justin Whalen (185) in the running for state individual titles. Team scores: 1. W. Lincoln 200.5; 2. Newton-Conover 171; 3. Fred T. Foard 170.5; 4. R-S Central 183.5; 5. Canton Pisgah 136; 6. W. Wilkes 98.5; 7. E. Rutherford 64; 8. Patton 62; 9. Smoky Mountain 57; 10. E. Henderson 50.